While kids are born to love science, every kid at every age has different abilities, inclinations, passions and skills. 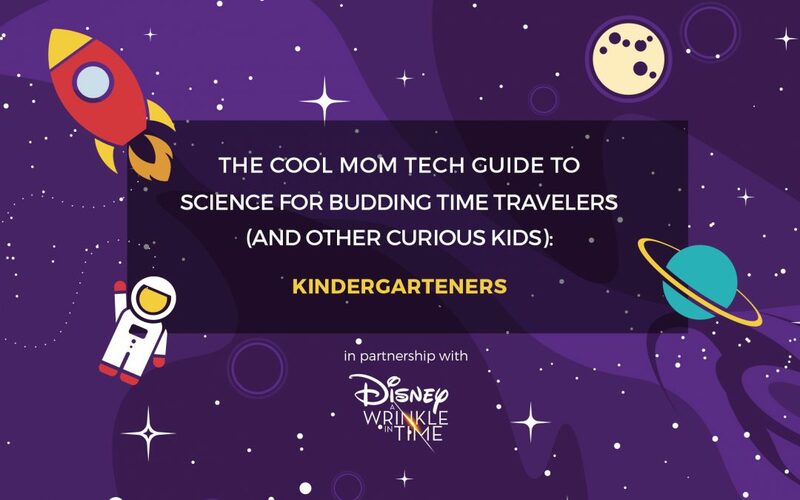 We started Cool Mom Tech in part to help parents foster that love of STEM in their kids, which is why we couldn’t be more thrilled to bring you this five-part science guide for kids on behalf of our truly amazing sponsor, Disney’s A Wrinkle in Time, available on Digital & Movies Anywhere May 29, and on Blu-ray June 5. If anything is going to get kids excited about concepts of science, from the basics to, you know, bending space and time, it’s going to be Meg, Charles Wallace, Calvin, The Murrys and those awesome Mrs.’s. So we hope you’ll enjoy this science guide, developed with the help of experts and educators, which can help your kids get some more learning out of the film, bring some of the exciting science concepts to life — though no time travel just yet, sorry — and help your own kids find their own paths. Because we know all kids are capable of doing the extraordinary. Keep an eye out for other posts in the Cool Mom Tech Guide to Science for Budding Time Travelers (and Other Curious Kids) just for grade schoolers, tweens, and teens and big kids too. Kindergartener Scientists: What Can They Do? Now that you’ve made it past the toddler years (and congrats on that! ), it’s pretty amazing to see how fast kids’ minds and bodies are growing, and how that translates to all the ways they can start to explore science. Physically, their fine motor skills are more proficient, which is why they’re good at holding pencils and using scissors properly, and may even be evolving from those fat markers to the skinny ones. Most kindergarteners can recognize all the letters, numbers and basic shapes by now, So they’re really ready to start doing a little more on their own when it comes to crafts, activities and projects. Kids around five are getting pretty good at following instructions and rules (well, mostly), their memory is developing, and they’ve got much longer attention spans than before. They’re also getting better at working and playing collaboratively, instead of just side-by-side with siblings and friends. Kindergarteners’ reasoning ability is just blowing up right now, which means they may be able to argue a point pretty well — and that’s a great skill for any scientist. They can compare like and unlike objects, and use words to describe what they see around them. Because kids have not yet started becoming inhibited, like their older peers, a kindergartener’s imagination is one of their most incredible resources. One of the strongest themes in Disney’s A Wrinkle in Time was the battle between light and darkness. But in real life, it doesn’t have to be a battle – we need both light and darkness. Light is fascinating to kids, and light science activities are a great way to learn about the amazing real-life powers of light! It can bend. It can refract. It can reflect. 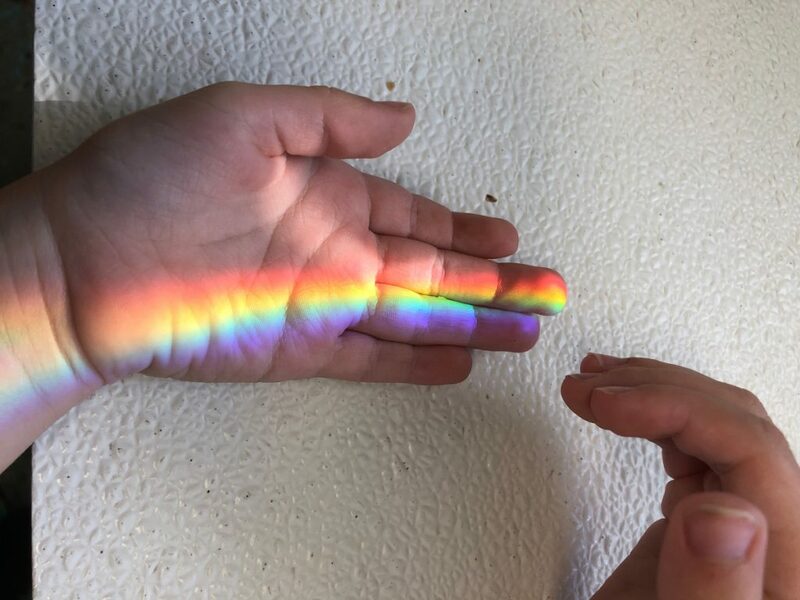 It can create color and rainbow. It can do nearly magical things! But it’s not magic — it’s science. There are tons of light science activity ideas for kindergarteners, but here are a few favorites with our kids to get you started. In the beginning of Disney’s A Wrinkle in Time, our kids loved seeing Meg Murry as a young girl, doing experiments with her dad in his lab. 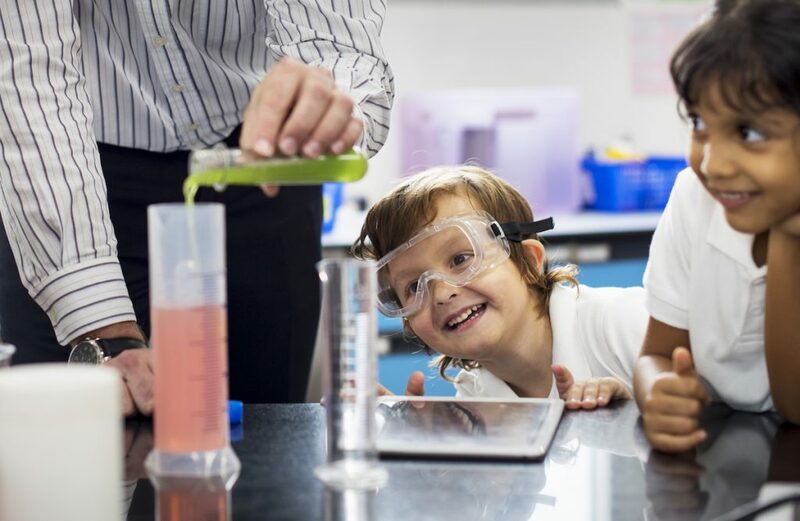 We imagine the same scenes could get your own kids excited to spend some time with you trying science activities like these. Try the activities, and remember to keep questions really simple: What do you think will happen? What do you see? What happens if we make a change? 2. Use fluorescent paper to demonstrate light reflection. 3. Make rainbows with a homemade cardboard tube spectroscope or try it with a simple glass of water and a mirror. 4. Make a homemade kaleidoscope with very basic materials. 5. Make glowing water using UV or black light. 6. Create fake moonlight with a bike reflector and a flashlight. 7. Do seeds need light to grow? Record what happens to seeds place in different conditions over time. 8. Make your own shadow puppets and explore what changes as your light source moves. Older kids can grasp more of the complexities of light, which means there are so many cool science activities and experiments to help introduce them to light and its properties in a more sophisticated way. 1. Mix colored light beams to “see” white light. 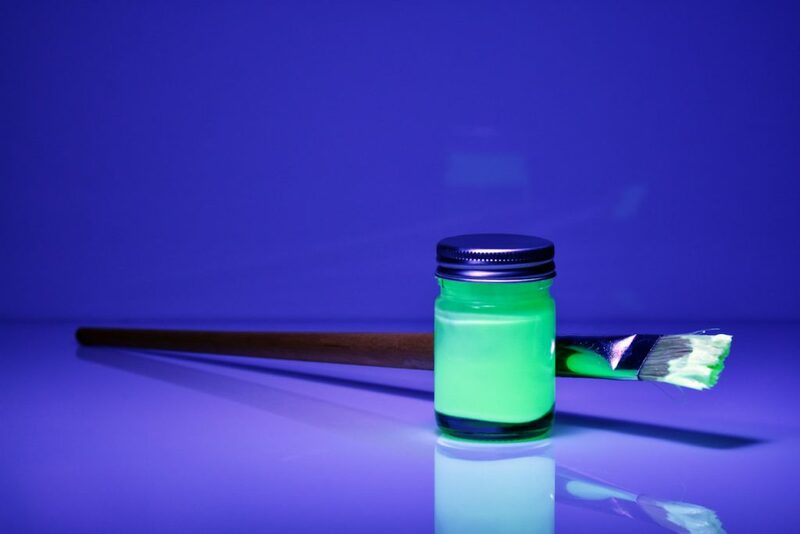 2.Learn about phosphorescence with different light sources, glow-in-the-dark paints, and glow-in-the-dark stars. 4. Explore which clothes keep you safe at night, with different degrees of fluorescence or light sources. 5. Make shadow drawings from your own constructions and explore how light and shadow change shapes. 6. Explain light refraction with pitcher of water and basic household objects. 7. Make a homemade film projector for your smartphone videos. We think talking to your kids about movies they love is a great way to bring it to life, to make it even more meaningful, and to connect as a family over shared interests. While kindergarten kids may not understand all of the themes and ideas in a film, you can still ask some simple ideas to get those minds working. 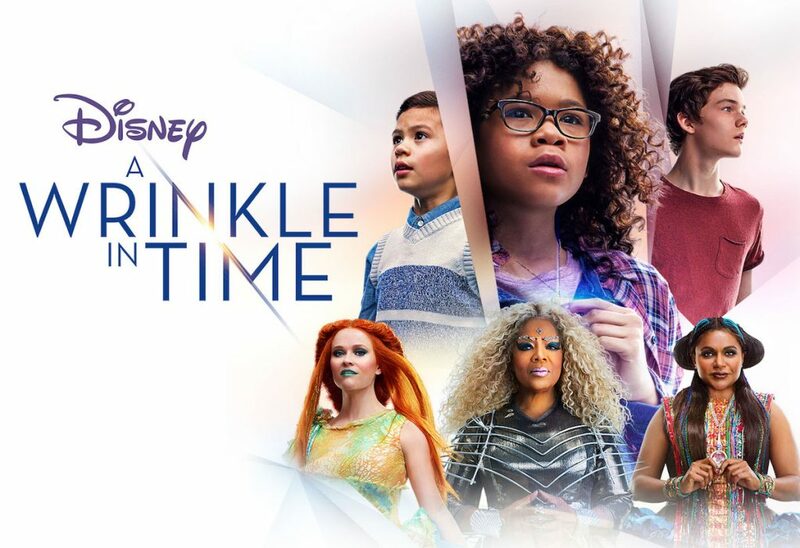 Here are some great conversation-starters after watching Disney’s A Wrinkle in Time, available on Digital & Movies Anywhere May 29, and on Blu-ray June 5. -Is there one part you really liked about the movie? -What do you think was the lesson in the movie? -What character from the movie would you like to meet in real life? Why? -If you were in the movie, who would you be? -Do you like light or dark better? Why? -If you could do any of the magical things in the movie, like fly or travel through time or talk to a flower, what would you like to do? 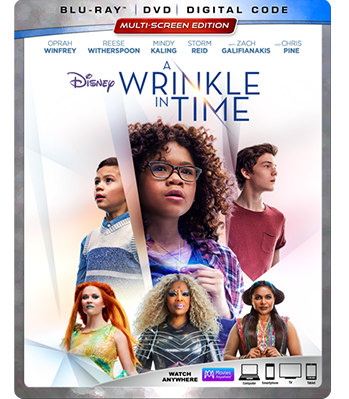 Thanks to our fantastic sponsor, Disney’s A Wrinkle in Time, available on Digital & Movies Anywhere May 29, and on Blu-ray June 5. 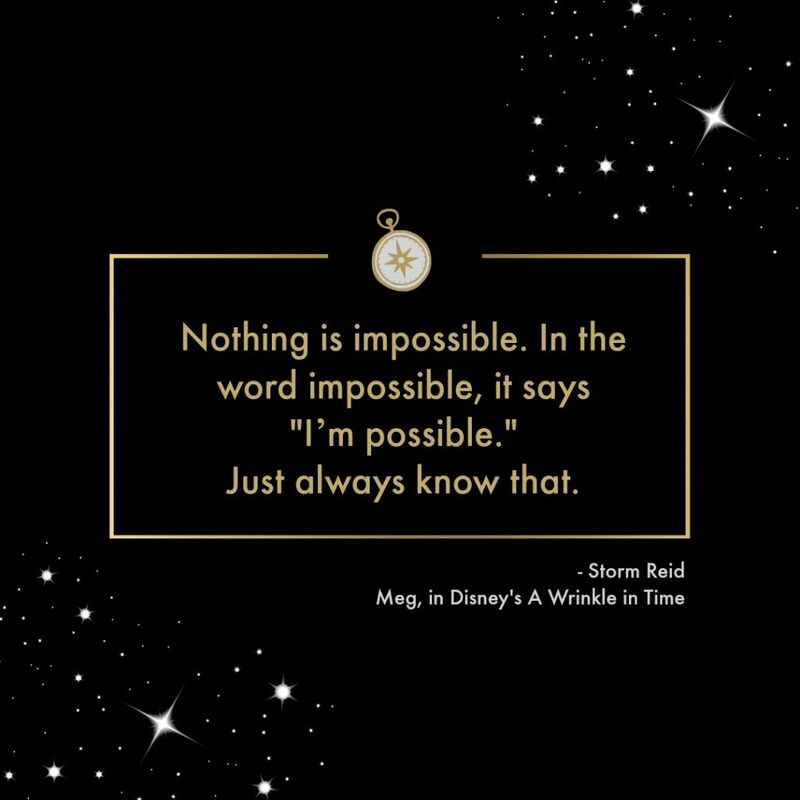 We hope it helps bring the magic — and science — to your family!